Luftwaffe Modernismus at Platz der Luftbrücke 4. 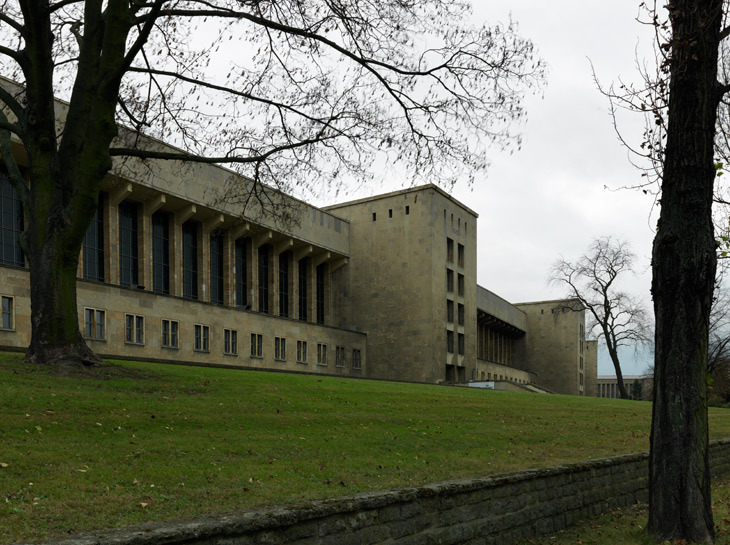 The sculptor Walter E. Lemcke made the Reichsadler (eagle) on the wall in 1940. 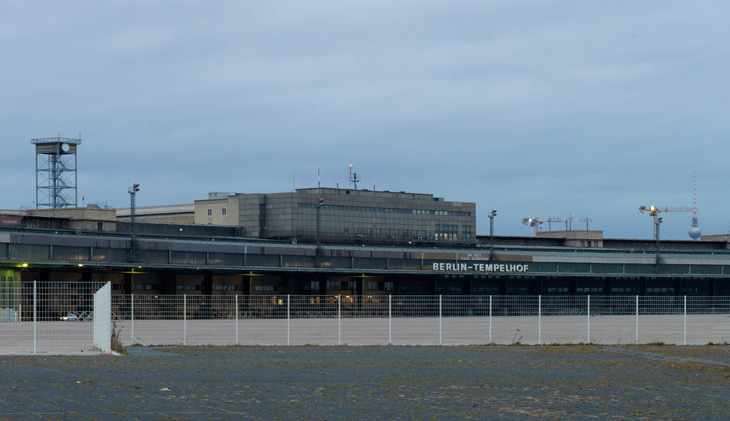 Berlin Tempelhof Airport or ‘Flughafen Berlin-Tempelhof’. 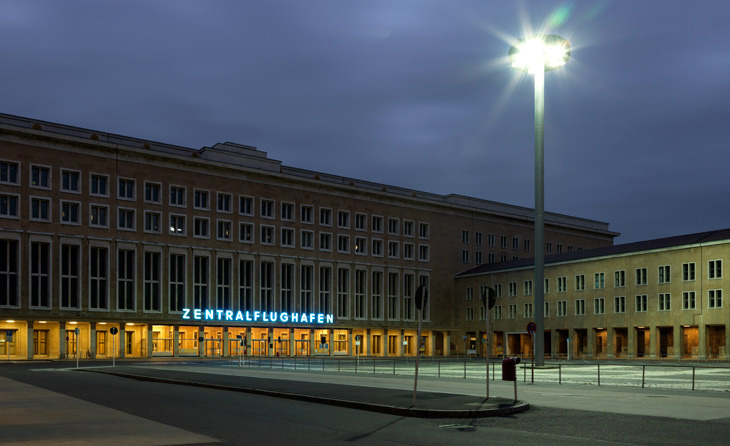 The current terminal building was built between 1936 and 1941, the Architect was Ernst Sagebiel know for his Luftwaffe Modern style. 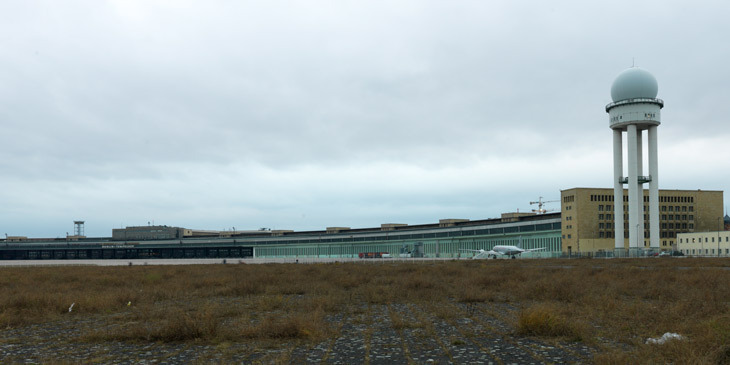 The British Architect Norman Foster once called Tempelhof ‘the mother of all airports’. 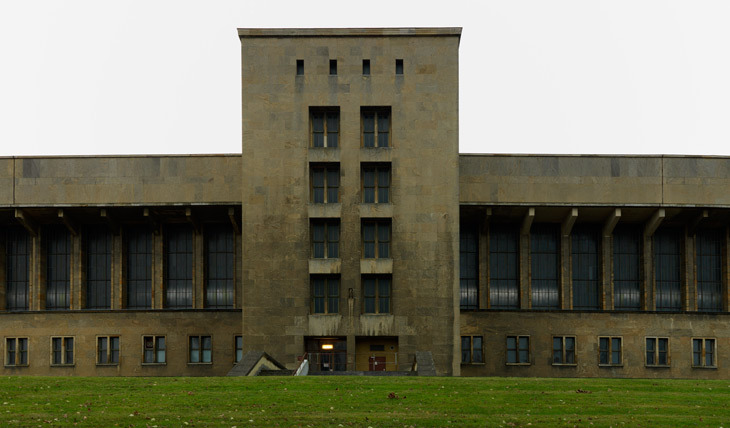 Tempelhof took central stage in the Berlin Airlift from June 26 1948 to 30 September 1949. 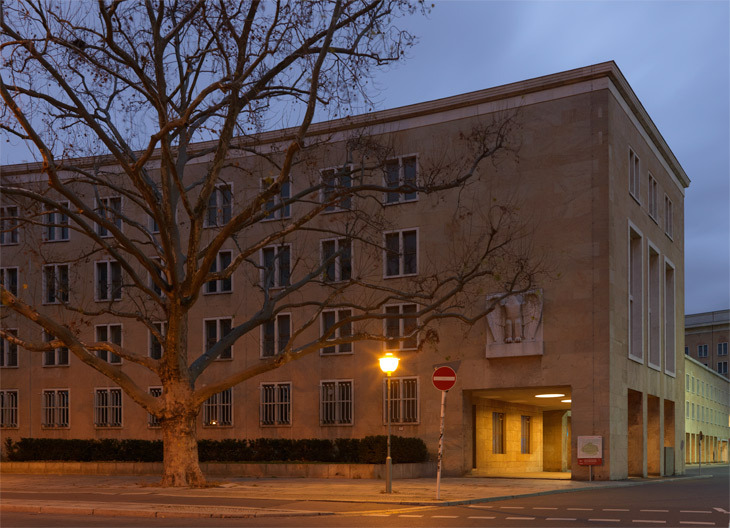 During 11 months British and American aircrafts supplied the citizens of West Berlin with necessities as entry to Berlin by land was cut-off by the Soviet authorities.